Russo-German rabbi; born in Lithuania in the early part of the eighteenth century; died at Berlin 1779. Early in life he lived at Königsberg and at Prague, where he acquired a fair knowledge of German. He then held the position of rabbi successively at Shkud, Lithuania, at Hasenpoth, Courland, and at Berlin. 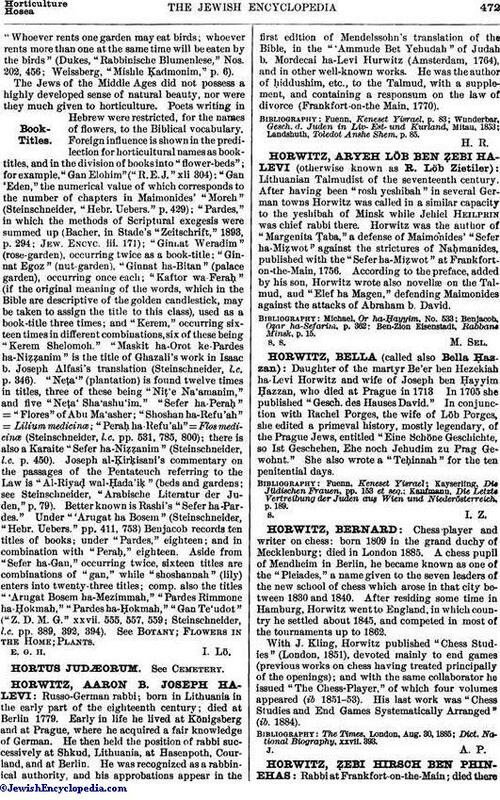 He was recognized as a rabbinical authority, and his approbations appear in the first edition of Mendelssohn's translation of the Bible, in the "'Ammude Bet Yehudah" of Judah b. Mordecai ha-Levi Hurwitz (Amsterdam, 1764), and in other well-known works. He was the author of ḥiddushim, etc., to the Talmud, with a supplement, and containing a responsum on the law of divorce (Frankfort-on-the Main. 1770). Landshuth, Toledot Anshe Shem, p. 85.